Facility managers who are taking advantage of the latest building automation and building management systems are reaping incredible energy savings in many areas, including HVAC, lighting, as well as operationally. According to the U.S. Department of Energy (DOE), buildings are the single largest energy-consuming sector in the U.S. economy. 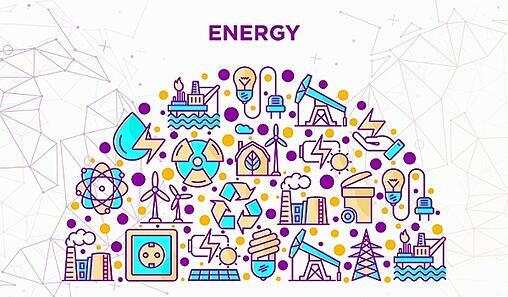 Buildings account for approximately 75% of the nation’s electricity use and 40% of its total energy demand. This results in Americans spending nearly $400 billion each year to power homes, offices, schools, hospitals, and other commercial and residential buildings. Additionally, MIT researchers have found that as much as 30 percent of commercial building energy is wasted. Before assessing ways to minimize energy consumption, it is important to first consider the areas within a building that are consuming the most energy. To improve the efficiency of the systems above and achieve a truly smart building that is able to reduce energy consumption and waste, a facility manager should consider using a modern building automation system (BAS). These systems help to significantly reduce energy consumption and save money. With HVAC systems and lighting accounting for nearly half of a building’s total energy usage, they present two areas where the highest reductions and savings can be achieved, ideally by using a building automation system. For example, automated controllers help facility managers optimize HVAC efficiency, with temperature and humidity sensors set to optimize heating and cooling systems, and motion and occupancy sensors working with thermostats, lighting, and security. Facility managers can also monitor total usage over a period of time and compare against the same time period, by year, month, day or hour, for example, as well as by system or piece of equipment. In addition to reducing operational and maintenance costs, improving workplace productivity and establishing a more predictable maintenance plan, BAS provides a host of benefits in other areas of facilities management. Building automation systems ensure employees have a safe and secure work environment, 24-7, in all areas of a building. In addition to smoke/fire, carbon dioxide (CO2) and carbon monoxide (CO) sensors and monitors, a facility manager can remotely control heating, cooling, air quality, and ventilation as well as receive alerts and notifications. This may include occupancy during non-occupancy hours, temperature, or air quality fluctuations. A smart building utilizing a more integrated approach can leverage systems to provide a number of operational efficiencies, from the better use of employees and other personnel to the better use of equipment and resources. For example, analytics software can detect anomalies or changes in equipment performance, alerting a facility manager or maintenance person before a major issue occurs, saving repair costs or downtime. Bringing all of a building’s disparate systems together into one platform or pane of glass enables greater control over individual systems that impact the overall performance of the building. A building manager can also monitor systems remotely or get alerts and notifications based on pre-set parameters or rules. This not only makes room for adjustments that can be done remotely in real time but troubleshooting and resolution of issues or potential problems. Having all of the systems integrated also enables a facility manager to mine aggregated data for additional energy savings, operational efficiencies, and overall building performance. Using artificial intelligence and machine learning, for example, allows a facility manager to process and analyze all of the building (s) data and recognize patterns or anomalies that can lead to insights, savings, and greater efficiencies. Robotics presents another area that can help buildings reduce energy, improve efficiency and productivity. For example, many buildings are successfully using automated ground vehicles or robotic assembly lines in warehouses, or automating certain job functions, translating into tangible savings to the bottom line. To help create an energy efficient, more sustainable building, the U.S. Green Building Council (USGBC) created building standards called LEED, or Leadership in Energy and Environmental Design. This provides a framework to create healthy, highly efficient, and cost-saving green buildings. According to the USGBC, LEED buildings cost less to operate—they save energy, water, resources, generate less waste—and boost employee productivity and retention. LEED certification is a globally recognized symbol of sustainability achievement. 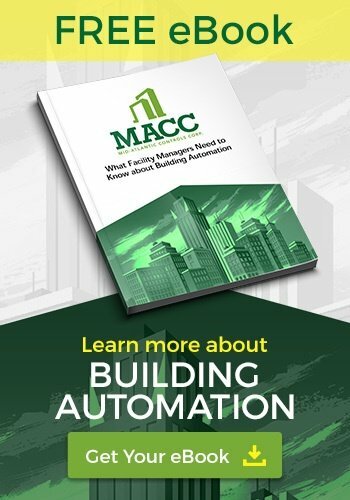 Whether upgrading an older legacy system or building a new facility, there are incredible savings that can be achieved by using modern building automation systems to create smarter buildings. The first step is to have a reputable building automation company come and evaluate your current situation and provide a roadmap to the abundance of savings that can be attained.